Available May 1, 2019. Enjoy Summer in Victoria. 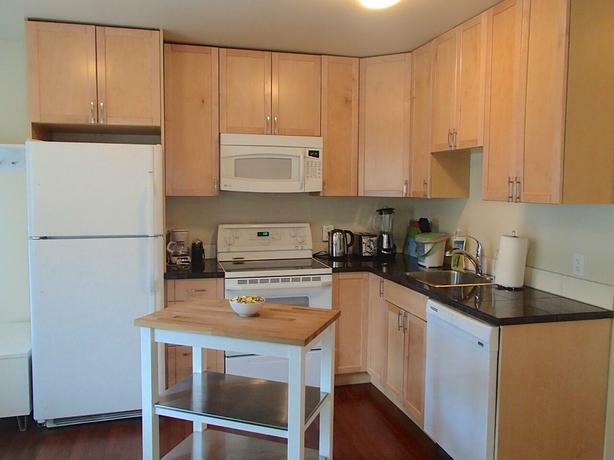 This adorable fully detached, Fully Furnished, All Inclusive, 1Bed 1 Bath cottage in the best location in the City. Includes all utilities, cable, internet, furnishings - everything you need. This Dallas Road address is just steps from the beach, Beacon Hill Park, and Cook St Village. Stroll through the park to downtown, walk to all amenities and enjoy the best the City has to offer. This 1912 Carriage House has been completely renovated. Bamboo floors, granite, new kitchen/bathroom, oversized soaker tub, full size front loading washer/dryer, dishwasher. Enjoy breakfast on your private patio and your own 4 walls - no one above, below, or beside you. The property features eco-friendly finishes and is well insulated and comfortable all year round. Pet friendly - located steps from Dallas Rd. dog park.